First of all I want to thank the lovely Rachel from rachforthestars blog for nominating me for the Liebster Blog Award. For those of you who are not aware, the Liebster Blog Award is given to bloggers with less than 200 followers. Liebster is a German words that means sweetest, kindest, nicest, dearest, beloved. Nominate 11 bloggers (with less than 200 followers) to do the same. Let the bloggers you have nominated know they have been nominated. Thanks again Rachel for the nomination! I was born in Rome. I have been living in Ireland since 1994. I have a degree as a Translator. I love shopping for clothes but often end up coming home with new clothes for the kids and nothing for me. I'm sure some of the mammies out there can relate to that. I never ever leave the house without make up on. I hate spiders. In fact, I have panic attacks if I see one bigger than half an inch. I lived in NY for a while before I got married. I need a cup of coffee as soon as I wake up. I absolutely love rainy Friday nites when the whole family is at home and cozy by the fire watching a good movie. 2. Who is the last person you spoke to on the phone? 3. Where did you go on your first holiday and who did you go with? Venice with my parents. I was about 10. My mobile phone, a box where I keep baby pictures of my children and my wedding dress. 5. What was the first concert you ever went to? 6. If you only could eat one food for the rest of your life what would it be? I don't really have a favourite singer. I enjoy most pop music. I couldn't live without the radio. 8. Skiing holiday or sun holiday? Definitely sun holiday. Love the sun!! 9. Do you have any animals? If so, what do you have? 11. What is your dream car? If you could move to a different country for one year, where would that be? Name one thing you can't live without. Have fun girls! Don't forget to send me the link! 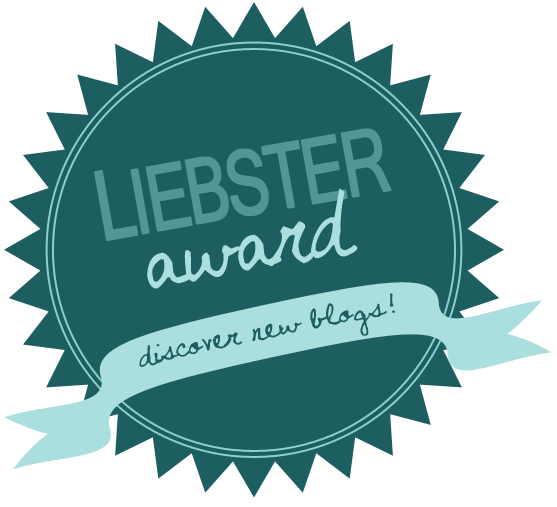 Hey :) thanks for nominating me for the Liebster Blog Award! I’ll be posting that tomorrow but in the mean time I’ve tagged you in the One Lovely Blog Award! Let me know if you decide to do it so I can check your post out too!